Most students at Newgate learn best by doing. They thrive because we provide auto body and mechanic training in a hands-on setting. The benefits of this approach are especially true for students who couldn’t reach their full potential in a traditional school setting. Once they’re enrolled at Newgate’s automotive schools, things change for the better. Some students left high school before graduation and now wish to learn technical skills to move into career employment. Others are Asian, Hispanic, East African, or other immigrants, or sons and daughters of immigrants. Some struggle with English but are able to learn with Newgate’s hands-on training. Still others are referred by social or educational agencies. These students can learn technical skills best in an apprentice-style setting with a low student-teacher ratio. Despite their varied backgrounds, Newgate's students work together toward the common goal of training for their futures. They are on the path toward careers as auto body technicians and automobile mechanics with good pay and expanding job opportunities. 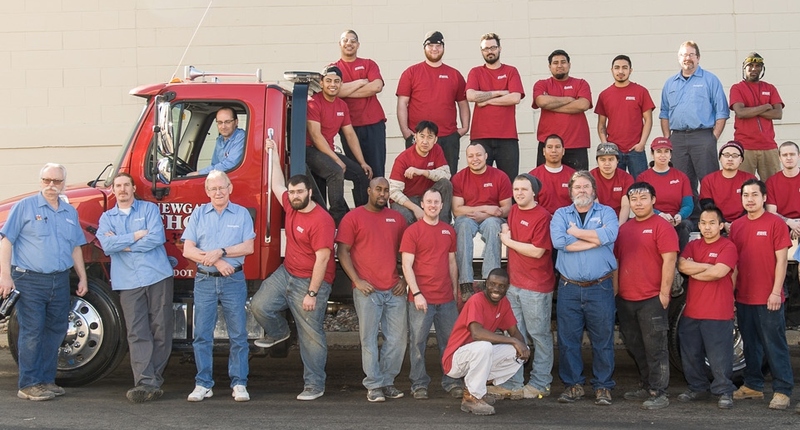 After 12 to 18 months of training, they’ll leave Newgate equipped to launch their careers as full-time employees in the auto industry, providing financial security for their families, and responsible citizens of the Twin Cities. If you want to support Newgate’s work and students, you may donate your car for which you may receive a tax deduction. This will give our students a tangible work project, and the sale of donated automobiles cover our school’s expenses.